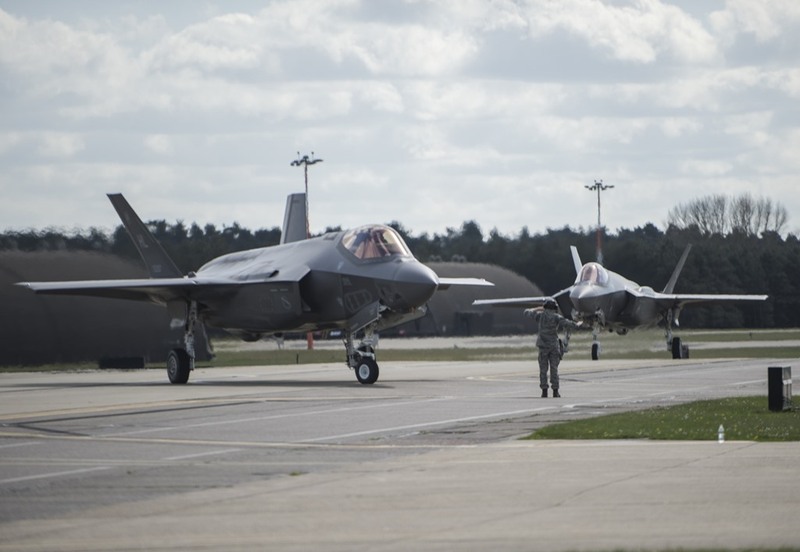 The price of the F-35A (US Air Force version) will drop below $79 million within the next three years, but just a few years later, it will start going up again, outgoing program director Lt. Gen. Christopher Bogdan said in an exit interview with Air Force Magazine. The price of the F-35 has come down, lot after lot, for five years. The $79 million price (in 2020 dollars) includes an engine and program fee, he said, and is for the “baseline” jet equipped with the 3F software, sensor, and weapons suite. However, “there’s a caveat” with that number, Bogdan noted. That price is “based on a particular ramp rate and quantity profile,” and if the production rate of the F-35 is slowed, the $79 million figure will “take longer” to get to. “Every time you take airplanes out,” it will delay the most efficient rate, he said. Looking ahead, though, as a series of substantive upgrades begin to appear in production, “they’re going to cause the airplane to cost more,” he acknowledged. A 2020 airplane, he said, lacks the “follow-on modernization and enhancements that will come in the 2022-2028 timeframe, and those enhancements are going to cost money. The Block IV upgrade program, now being mapped out, will enhance every aspect of the F-35, Bogdan said. “We will put many more weapons on this airplane; both weapons we know of and future weapons to make the airplane more lethal.” From flight test and early operational use, Bogdan said “we’ve found out … this airplane has such a tremendous sensor capability, that now we have to make sure that the weapons that go with all that sensor capability can use it,” but he declined to elaborate further. Either way, there will be substantial increases in “efficiency, thrust, range and reliability,” he said. The AFRL has touted improvements in range of as much as 30 percent with the next generation of fighter engines. The F-35 today relies on a vast store of mission data files, constantly updated, which catalog all the potential threats—fixed and mobile—in a given geographic area. “We’ll never be done upgrading ALIS,” the Autonomic Logistics Information System, Bogdan said. “We’ll look for different, architectural changes in the future [and] we may go to a ‘cloud’ someday. We’ll definitely look for remote administration,” which would be a kind of centralized ALIS operations center that would relieve “guys at the squadron level” of administrative tasks, such as keeping ALIS running and making software patches.